One secret to heart disease prevention may be your daily cup of tea, providing it’s Green Tea. Mounting evidence suggests that Green Tea, a staple of many Asian cultures, can help reverse some of the risk factors associated with heart disease, such as high blood pressure (hypertension) and abnormal blood clotting. Lowering Blood Pressure. High blood pressure (hypertension) can be caused by a number of factors, including poor diet, lack of exercise, high stress levels, and genetic predisposition, among others. Drinking Green Tea, however, can help counteract the effects of these risk factors, research suggests. When a group of mice was exposed to stressful, overcrowded conditions, feeding them Green Tea kept their rising blood pressure under control. The blood pressure lowering effects of Green Tea have been recorded in humans as well. In a study of 20,000 middle-aged adults, blood pressure decreased as Green Tea consumption increased. Researchers speculate that Green Tea lowers blood pressure by causing blood vessels to relax. One study assessed 54 substances - vegetables, fruits, nuts, herbs, spices, and teas - for their ability to relax blood vessels. Of these, Green Tea placed fifth, relaxing blood vessel walls by as much as 91%. Reducing Cholesterol. In a study of 1,371 Japanese men (age 40 and older), researchers found that those who drank ten or more cups of Green Tea daily had significantly lower cholesterol levels. According to another study, men who drank nine cups of Green Tea or more daily had cholesterol levels 8 mg/dl lower than those who drank only two cups or less of Green Tea each day. The reason is that Green Tea contains substances called cholesterol inhibitors, explain Dr. Mitscher and Dolby. The cholesterol inhibitor called EGCG creates an insoluble form of cholesterol, which can’t be absorbed by the intestine and gets excreted through the feces instead, Dr. Mitscher and Dolby say. In animal studies, rats fed a high-cholesterol diet along with Green Tea reduced their cholesterol absorption by as much as 33%. The effect is similar for humans: another Japanese study found that human participants who ate three egg yolks per day (a high daily intake of cholesterol) were able to maintain healthy cholesterol levels by drinking large amounts of Green Tea. Protection Against Free Radicals. Free radicals are toxins in the body that can seriously damage cells and degenerate organs; antioxidants work against free radicals and block their destructive activities. Green Tea contains polyphenols, which, as antioxidants, prevent free radicals from oxidizing low-density lipoproteins (LDLs, the so-called bad cholesterol) in the blood. LDL-cholesterol is one of the prime targets of free radicals, Dr. Mitscher and Dolby note, and once LDL cholesterol is oxidized, it becomes a very nasty substance. In fact, free radical oxidization of cholesterol has been shown to damage blood vessels. Smokers, because they consume free radicals through tobacco smoke and therefore sustain greater blood vessel damage through oxidation of LDL cholesterol, provide the best opportunity to study Green Tea’s antioxidant properties. In a Japanese study of 1,317 men, those who smoked and drank at least ten cups of Green Tea daily showed amounts of lipid peroxide (a marker for blood vessel damage) similar to those of nonsmokers. Prevents Abnormal Blood Clotting. If your body releases too many clotting agents into the bloodstream, clots may form along blood vessel walls. These clots constrict blood flow and can pose a serious risk for heart attack and stroke. Research has shown that Green Tea can prevent the formation of these potentially harmful blood clots. Green Tea inhibits the production of thromboxane (a modified type of fatty acid circulating in the bloodstream), and low blood levels of thromboxane in turn inhibit clot formation, according to Dr. Mitscher and Dolby. Animal studies have confirmed that Green Tea reduces clotting, and some evidence suggests that, much like aspirin, the cholesterol inhibitor present in Green Tea (EGCG) also acts as an anticoagulant, or blood thinner. One cup of green or black tea has more anti-oxidant power than one-half cup of broccoli, carrots, spinach or strawberries. In China and Japan, many epidemiological studies have found that tea drinkers have a lower than average incidence of cancer. Over the past decade, studies from other parts of the world have supported this conclusion. In a study involving 35,000 women in Iowa, those who drank at least two cups of tea a day had 60% less kidney and bladder cancer and 32% less cancer of the esophagus and colon. A 15-year study of men in the Netherlands concluded that those who drank more than four cups of Green Tea a day were 69% less likely than others to suffer a stroke. In Ohio, a study by Dr. Hasan Mukhtar of Case Western Reserve University found that mice which were given Green Tea and exposed to chemical carcinogens or ultraviolet light developed 90% fewer tumors than mice which were not given tea. The mechanisms by which tea conveys its health benefits are not yet fully understood. However, University of Kansas chemist Lester Mitscher, Ph.D., maintains that, tea is the most powerful anti-oxidant there is. According to studies at Tufts University, one cup of green or black tea has more anti-oxidant power against the most common kind of free radical in the body, the peroxyl radical, than one-half cup of broccoli, carrots, spinach or strawberries. In numerous animal and test-tube studies, compounds in tea called catechins have been effective against a broad spectrum of cancers. Dr. Mitscher found that one catechin, EGCG, was 100 times more potent than vitamin C and 25 times more potent than vitamin E. EGCG blocks an enzyme that tumors use to grow new capillaries, explains Jerzy Jankun, a tumor biologist at the Medical College of Ohio. Studies of mice in Japan suggest that catechins also protect tissues from sun damage, cigarette smoke, air pollutants and radiation. Some bacteria seem susceptible to catechins as well. Asian studies have shown that Green Tea inhibits bad breath, gum disease and tooth decay in laboratory rats. Two ongoing studies are further investigating tea’s anti-cancer properties: Dr. Mitscher is studying the effects of the equivalent of four cups of tea a day in women at high risk for breast cancer, and patients at M.D. Anderson Cancer Center in Houston are being tested for the effects of large quantities of tea on tumor shrinkage. According to experiments by Dr. Mitscher, Green Tea has about twice the anti-oxidant effect of black tea. Commercial tea preparations of bottled iced tea or powdered tea mix have similar effects and decaffeinated tea is also effective. Herbal infusions, like chamomile or peppermint, are not true teas from the plant Camellia sinensis and thus do not have the same healthful properties. Green Tea (Camellia sinensis) is a highly popular beverage in China, Japan, and Korea, and may constitute 20% of the world’s consumption of tea. In recent years, food scientists have identified health benefits connected to drinking tea. The primary chemical compounds found in Green Tea are called polyphenolic catechins and represent 17-30% of the dry weight of Green Tea leaves. Catechins are many times stronger than vitamin E in defending the body against free radicals, thus supporting the immune system’s responsiveness. 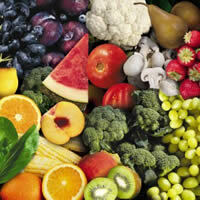 They can reduce the risk of stroke and cardiovascular disease as well as stomach, pancreatic, and possibly lung cancer. A Japanese study showed that Green Tea can significantly lower blood pressure, reduce serum levels of LDL-cholesterol, and keep blood sugar levels from rising inappropriately (as in diabetes and chronic weight-gain conditions).Green Tea has an antibacterial activity that helps inhibit dental plaque and cavity formation. It’s also been shown to improve bowel regularity and to inhibit the activity of at least eight food-borne bacteria. Clinical studies show that Green Tea flavonols (the active bioflavonoids in the tea) may offer substantial cancer protection if consumed on a regular basis. To put this in perspective, it takes about 909 pounds of Green Tea to extract 2.2 pounds of catechins.